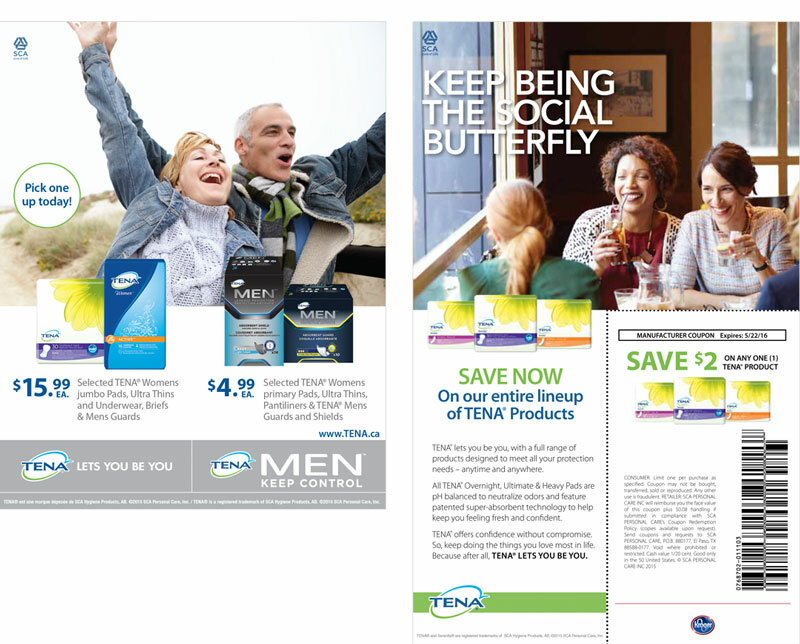 The Think Tank® Consumer Promotion Specialists Inc.
We are a boutique integrated marketing agency with a tightly knit team of knowledgeable industry professionals, passionate about creating engaging experiences that connect audiences with the brands we love. 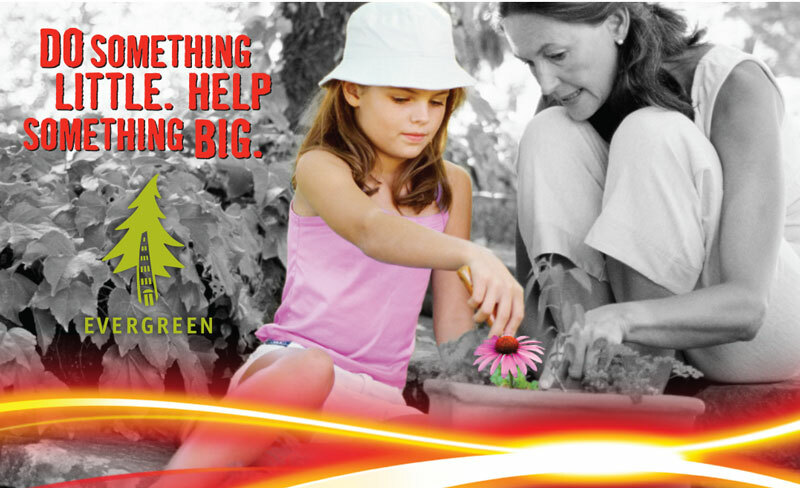 We grow businesses and cultivate relationships. 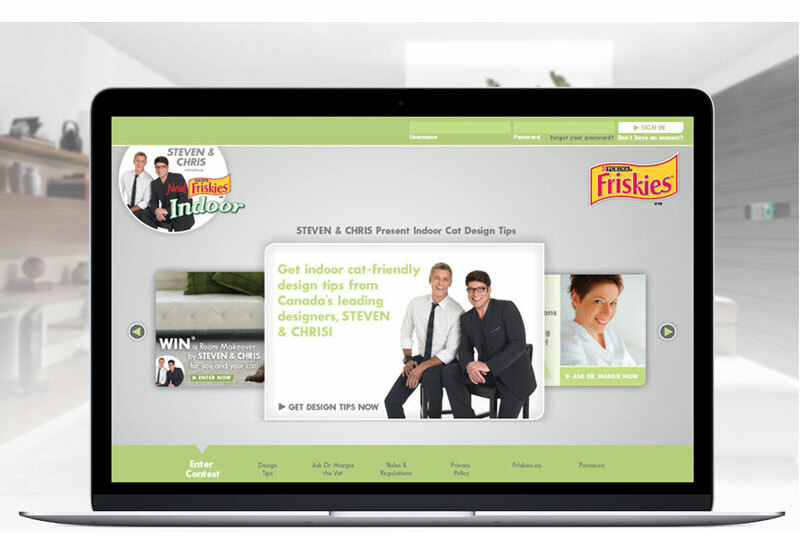 We blur the lines between client and collaborator. 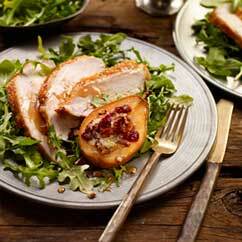 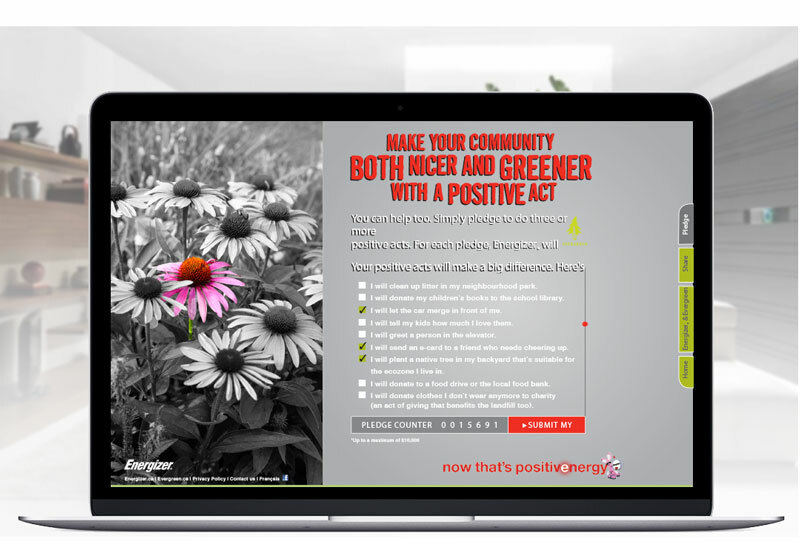 We go deep(er) for a holistic understanding of business needs, assets and opportunities. 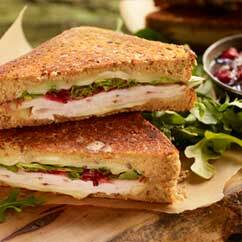 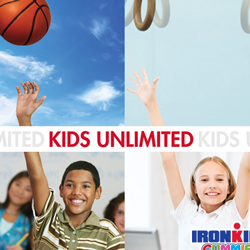 We raise the bar and the bottom line. 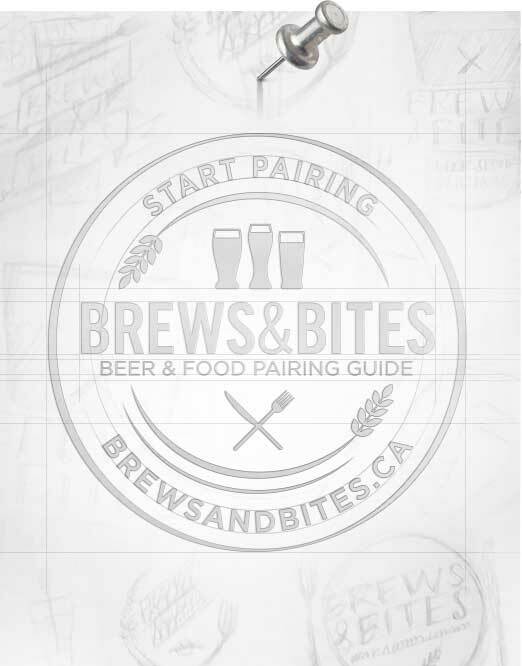 We believe in community. 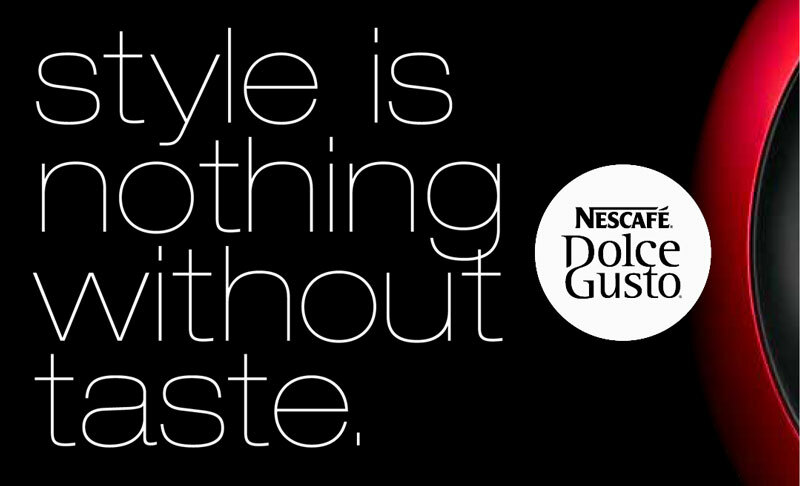 We can make a positive difference to consumers and add value to brands. 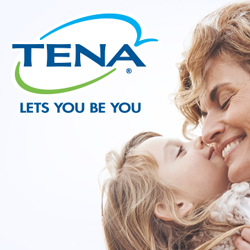 To build awareness, encourage trial and grow market share for TENA throughout North America, we developed a fully integrated below-the-line program rooted in the brand's global commitment to consumers - TENA "Lets you be you". 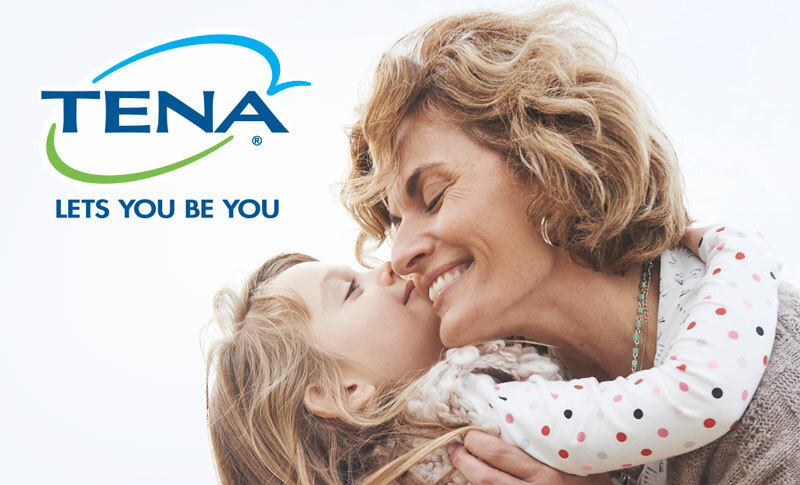 Through a mix of consumer touch points that educate, start conversations and promote trial, we have helped to change lives for many of the 1 in 3 women that live with bladder leakage every day. 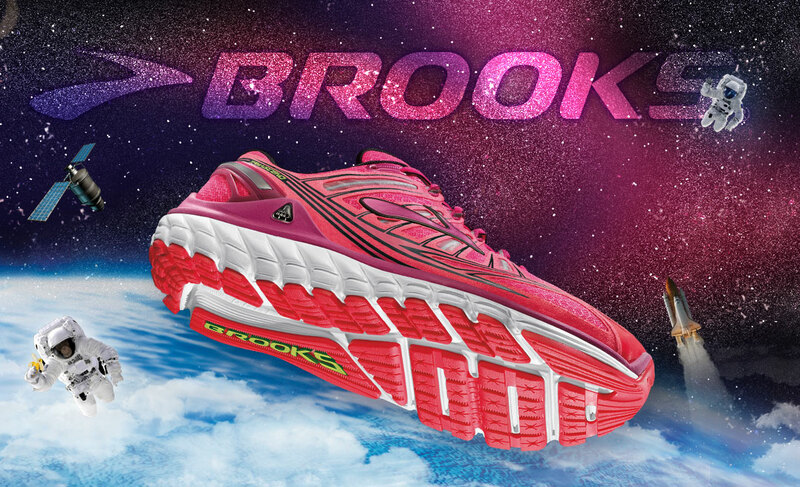 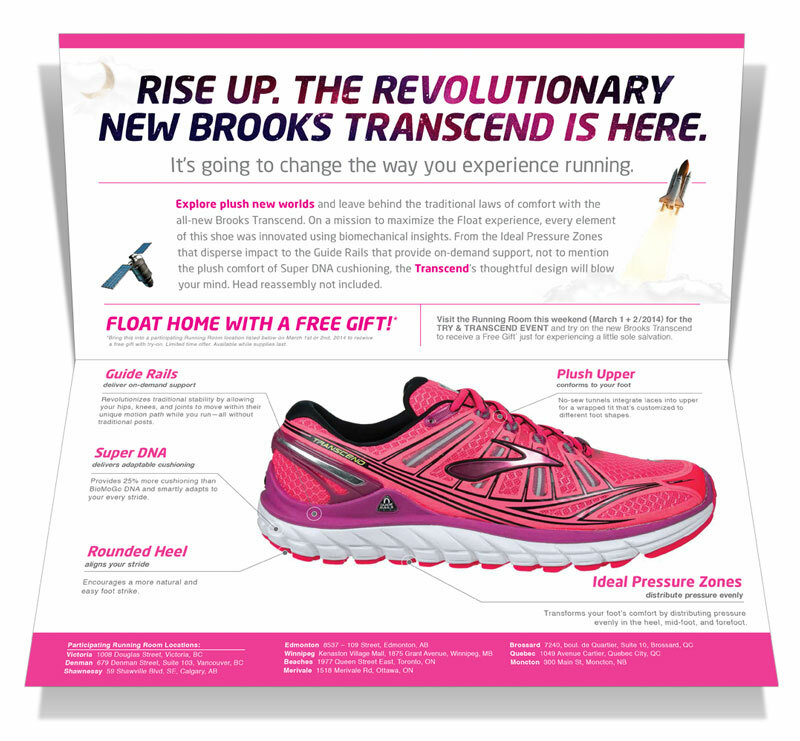 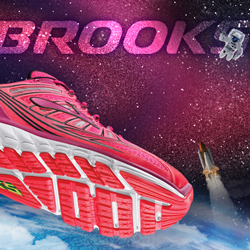 To get runners in key markets excited about Brooks’ revolutionary new Transcend running shoes, we developed a direct mail campaign that was distributed through retailer the Running Room database. 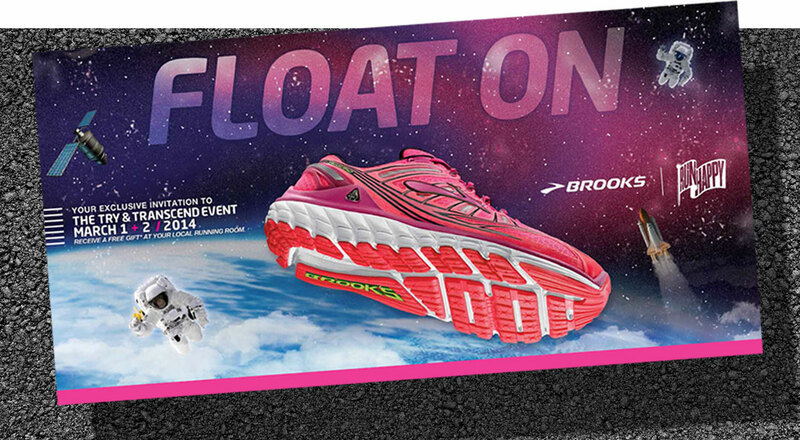 Consumers were invited to the “Try & Transcend” event, hosted at their local Running Room, attendees were given the chance to experience the shoe and receive a free gift in-store just for trying them on. 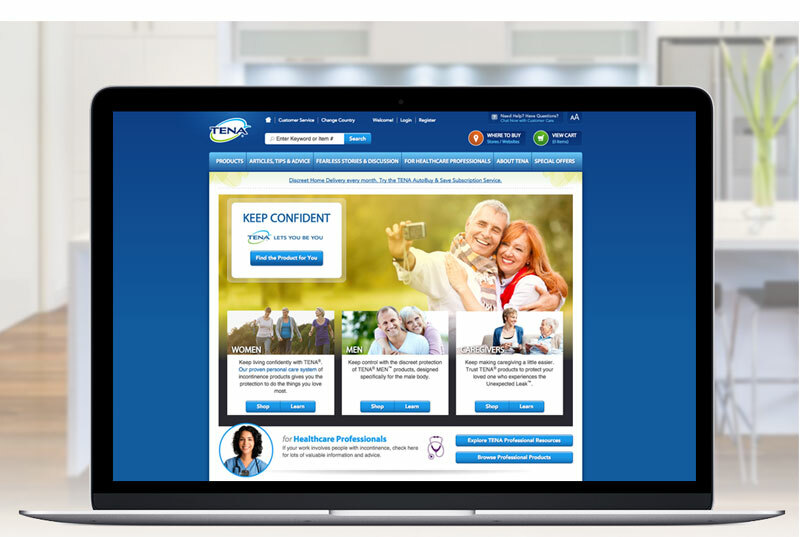 Results 'transcended' expectations. 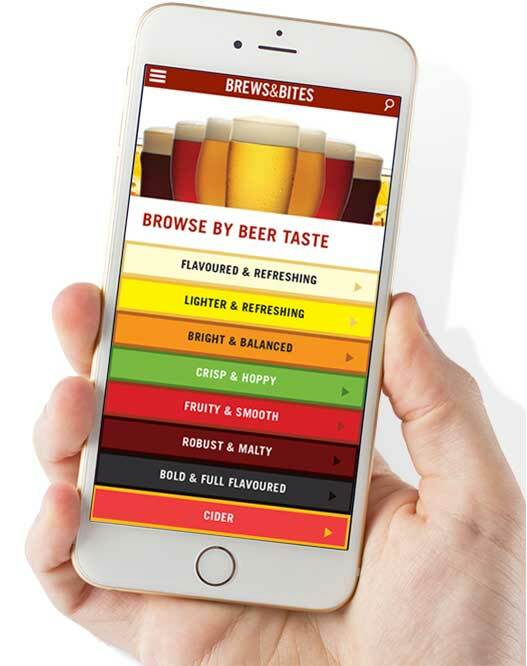 To educate consumers, elevating their taste experience and encouraging purchase of Molson Coors, we developed a platform anchored by the big beer occasions. 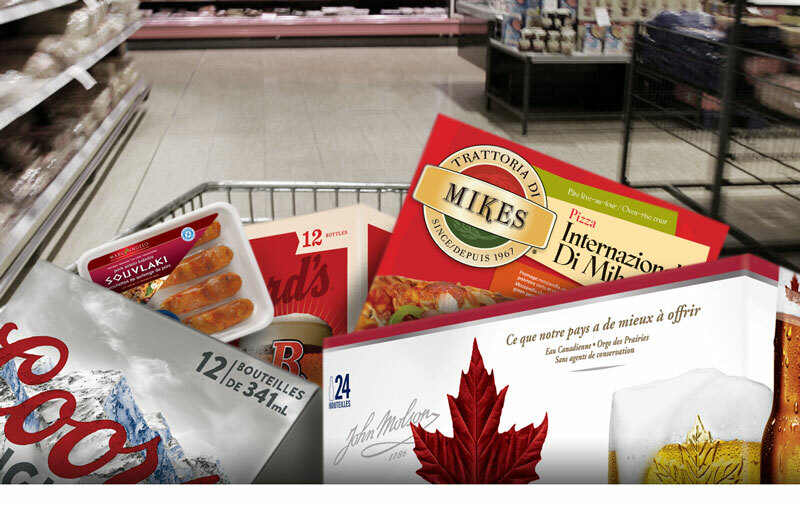 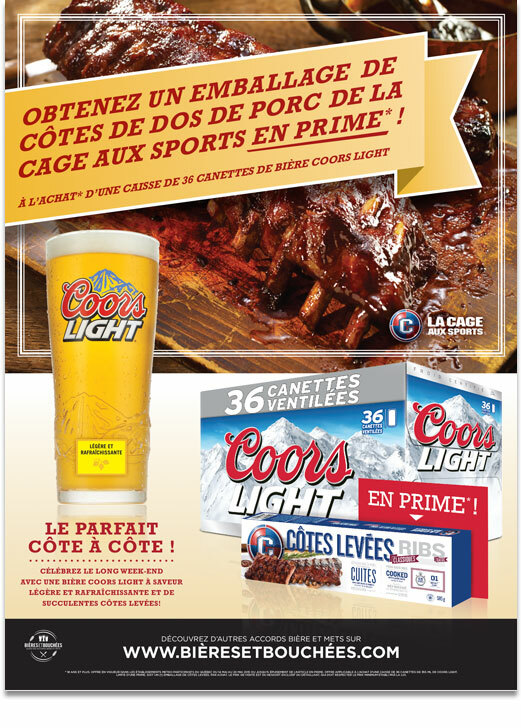 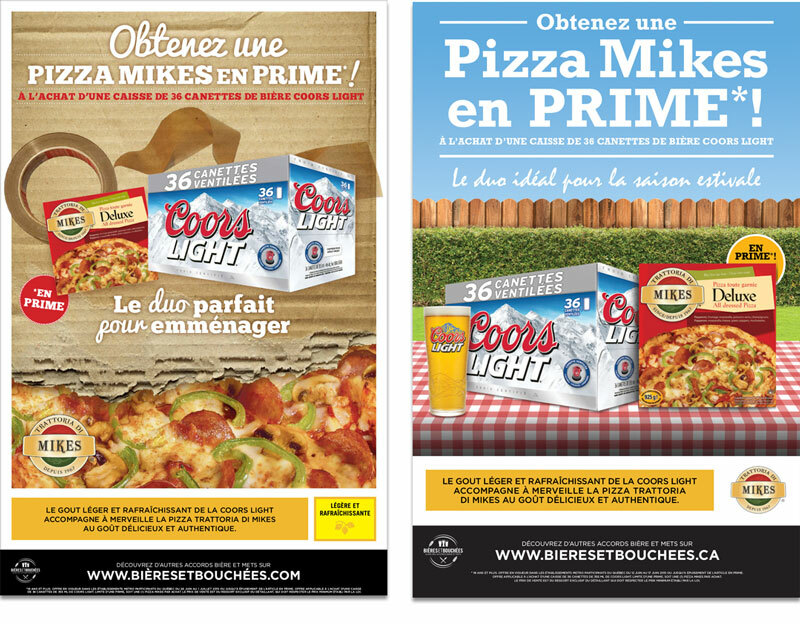 Shoppers in Quebec grocery stores filled their carts with Molson Coors brands and a perfectly paired food partner, driving volume and giving shoppers a new appreciation for their favourite brew. 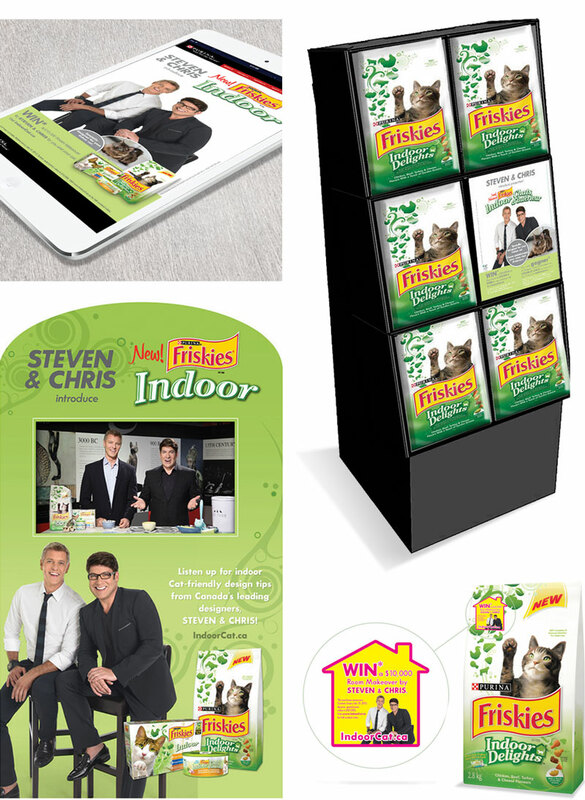 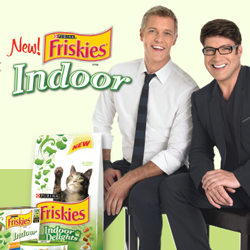 For the launch of Friskies’ new line of Indoor cat food, we partnered the brand with iconic Canadian designers Steven and Chris to educate consumers on creating cat-friendly spaces in their homes, generating excitement and broadening consumer awareness. 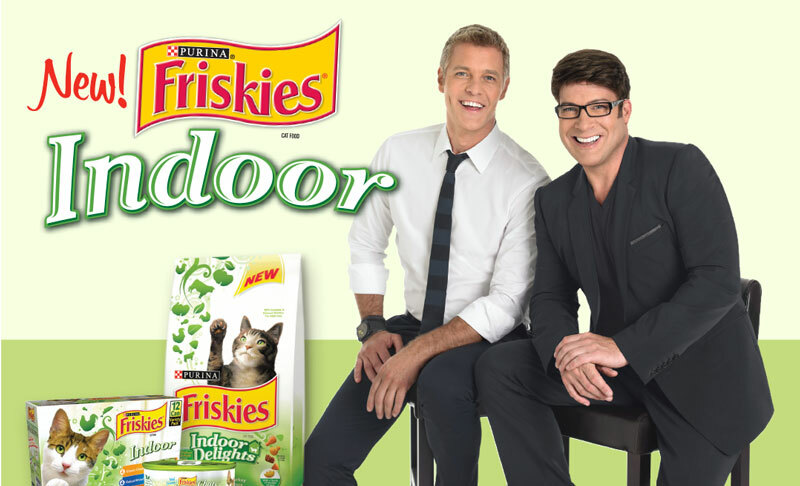 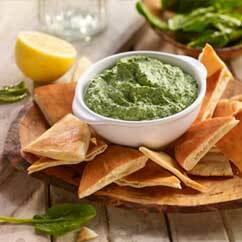 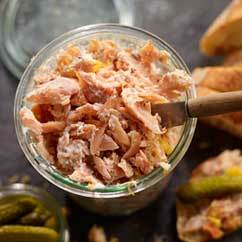 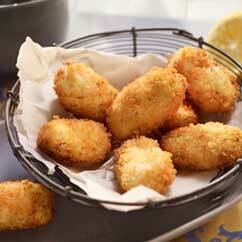 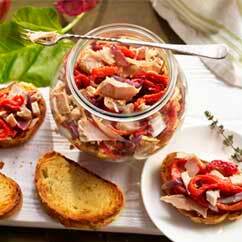 The program results won Friskies’ double-digit growth and a Bronze at the Strategy Shopper Innovations Awards. 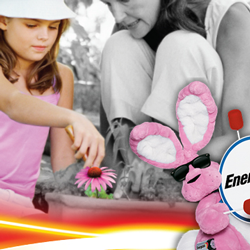 After 20 years of ‘Keep Going’, Energizer evolved their corporate manifesto to ‘Now That’s Positive Energy’. 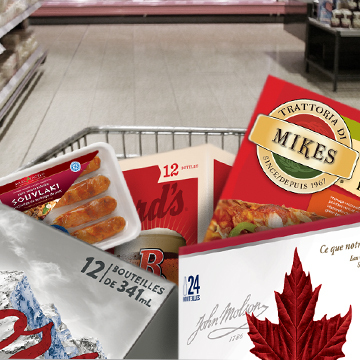 To mark the launch in Canada, we developed a fully-integrated program encouraging consumers to ‘Do Something Little, Help Something Big’. 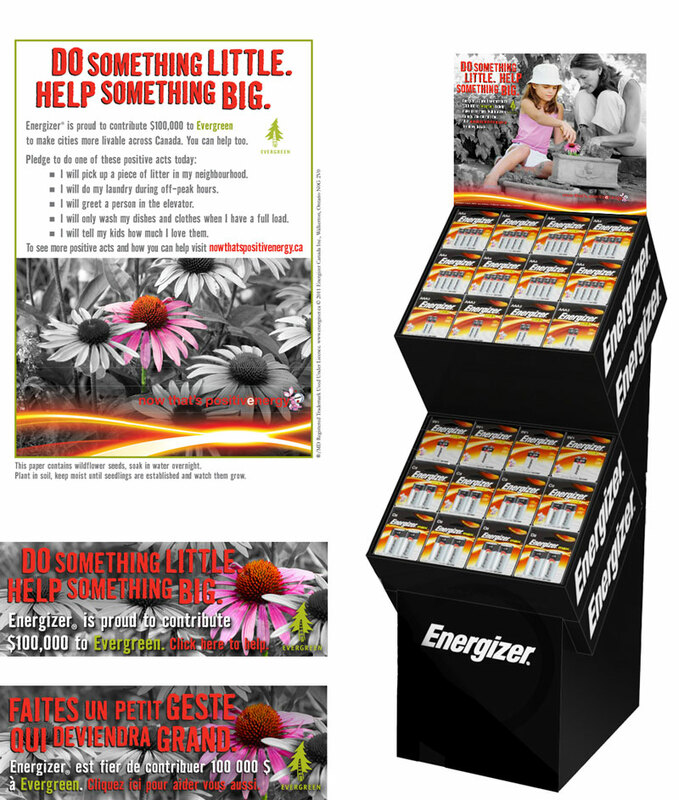 Consumers paid-it-forward over 50,000 times by sharing their acts of kindness to trigger a donation from Energizer to Evergreen, resulting in strong retail endorsement that drove incremental volume. 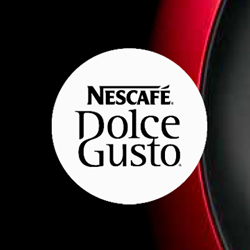 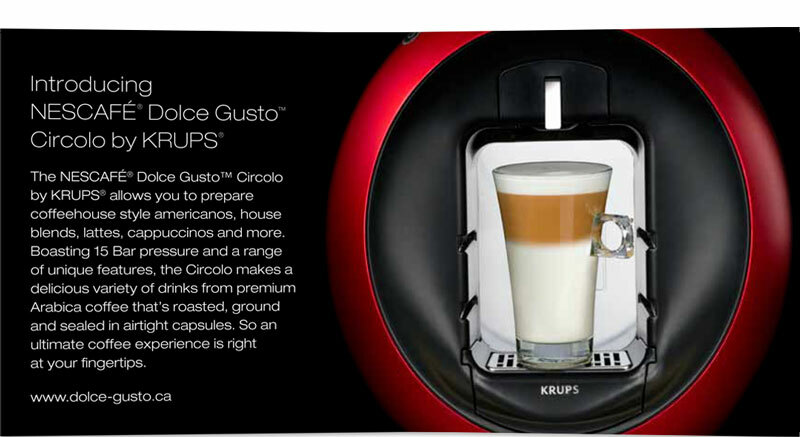 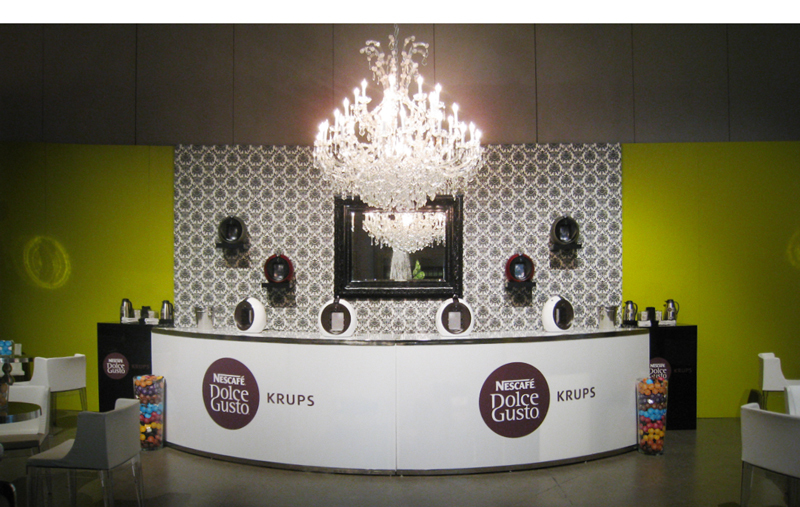 To engage key influencers and spread the word about Dolce Gusto coffee and coffee makers at the Toronto Fashion Week, we created a branded Consumer Café Experience - a sanctuary for the frenzied fashionistas to relax and share their stories over a cup of coffee. 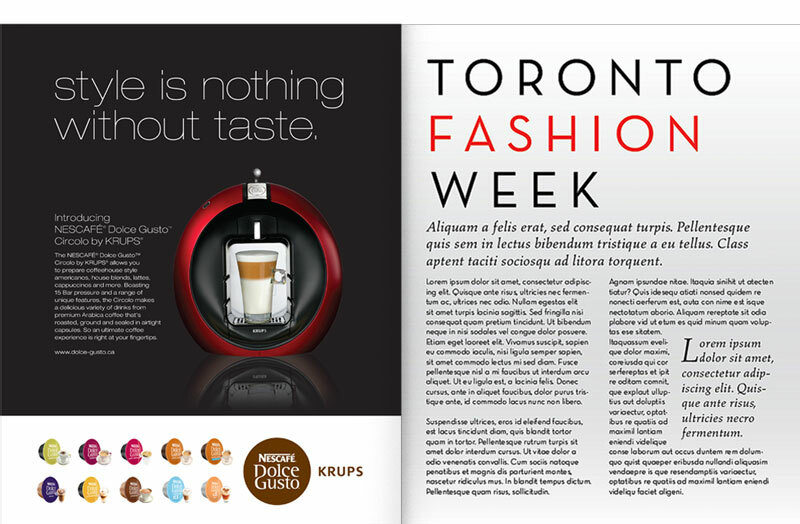 Visitors were intercepted with brand imagery, and materials highlighting the innovative features and benefits of this haut coffee line in truly unforgettable fashion. 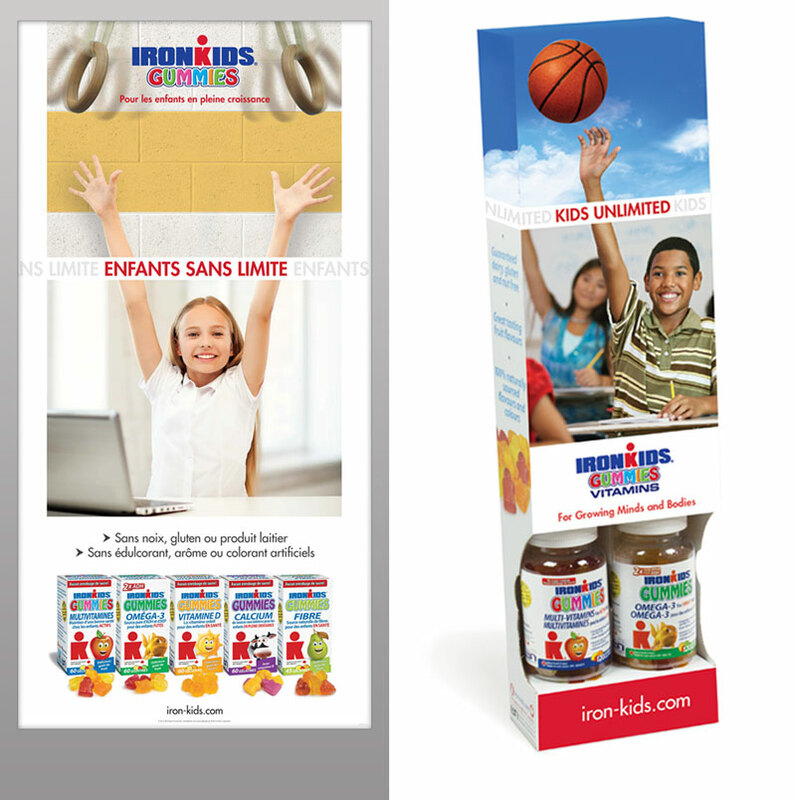 To grow awareness and drive trial of IronKids vitamin Gummies, we started by defining a unique brand position that would resonate with our audience. 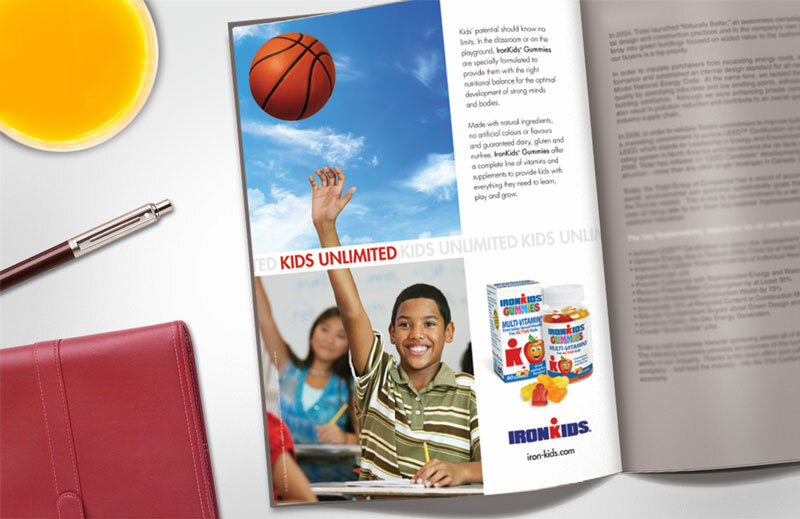 Insights gained during consumer research were brought to life through an ownable campaign, illustrating the benefits and efficacy of a vitamin Gummy made just for kids. 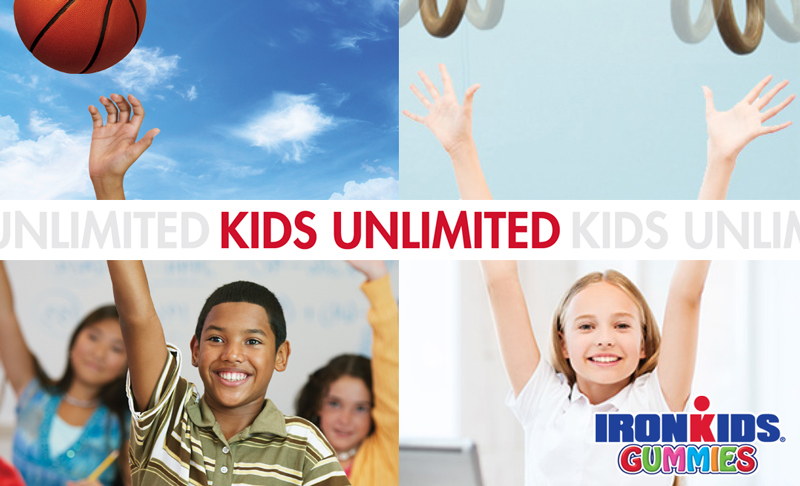 “Strong bodies and minds” became the brand’s DNA and the foundation for an above and below the line campaign. 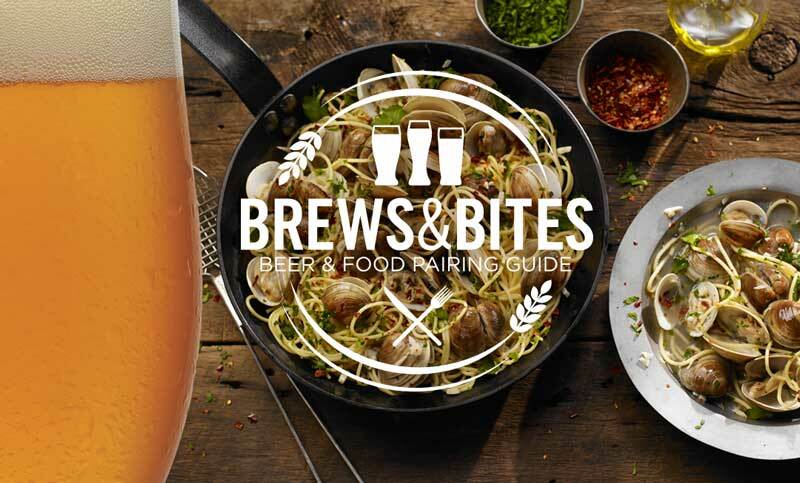 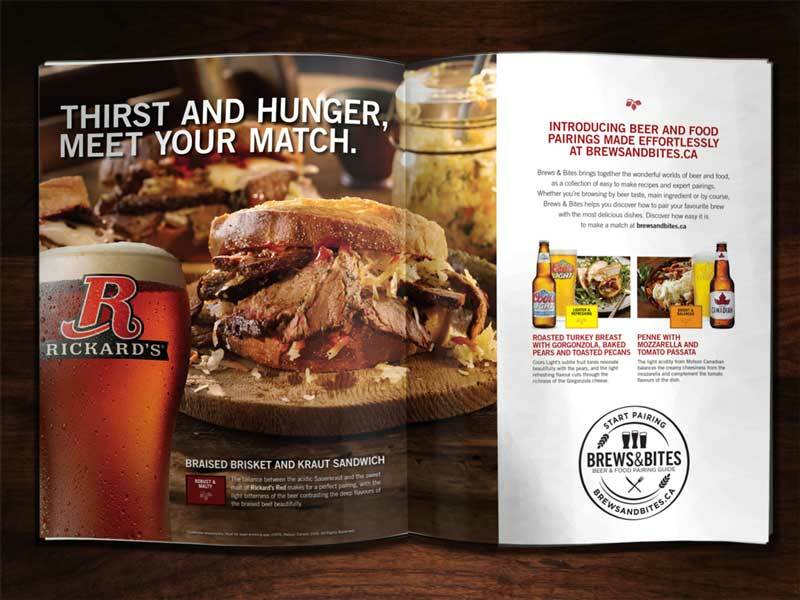 To engage consumers and educate them about the wonderful world of Molson Coors beer and food pairing, we created ‘Brew&Bites’. 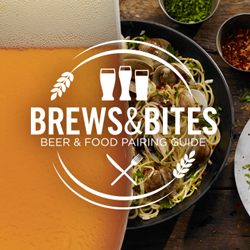 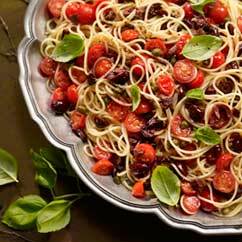 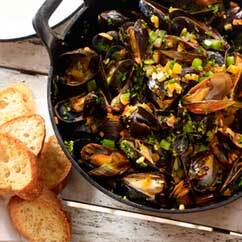 The ultimate online destination to explore Molson Coors full spectrum of beer taste profiles and their perfect food matches. 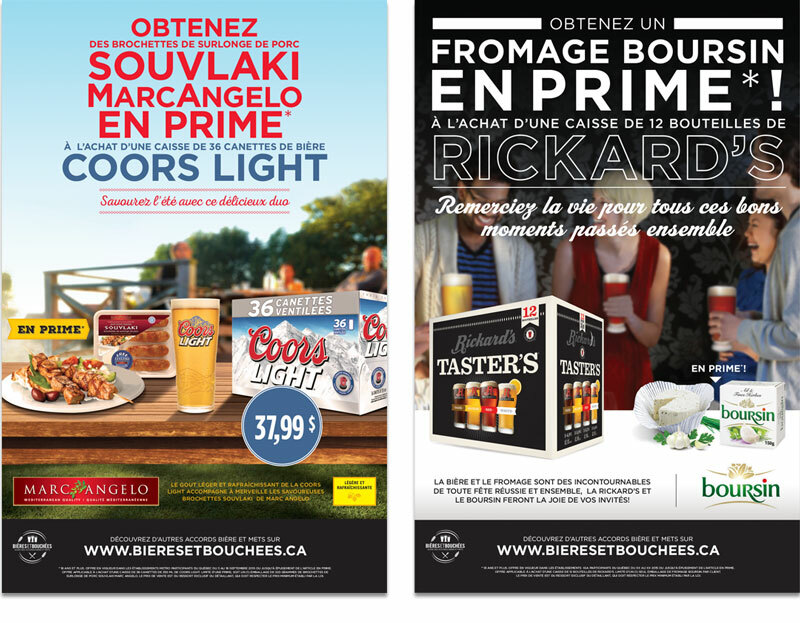 This enlightenment continues to elevate the profile of Molson Coors, quenching consumer thirst for a deeper appreciation for beer. 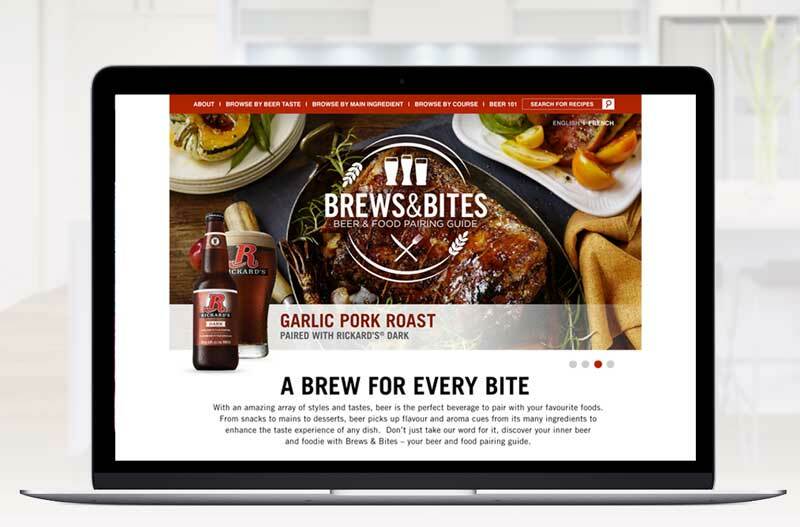 The genesis of our process and mantra, is a desire to deliver engaging brand experiences that go deep(er), connecting consumers with our brands in authentic and memorable ways, adding value to their interaction. 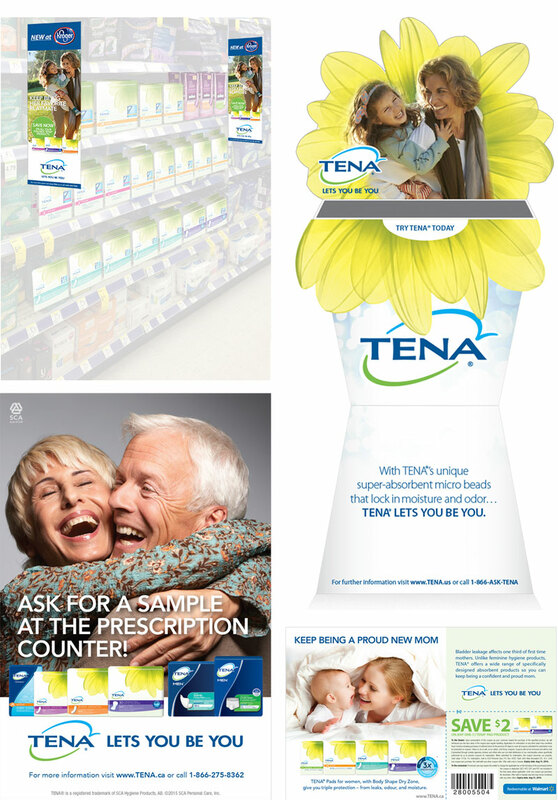 From research to strategy, ideation and execution; our deep(er) approach is central to creating integrated solutions that resonate with our consumers in-store, out of home, in print, digitally, socially and everywhere in between; delivering with on-brand, on-strategy, outside-the-box thinking and measurable results.